One of the things I love most about our industry is that it’s constantly being shaken up. Everywhere you look, there’s an individual or a company taking things to a previously unprecedented level. What’s even more amazing is the pace at which things are moving; a pace that’s only going to increase in speed as the industry becomes more open and recognized. To help illustrate what I mean, think about this: If you have kids that are, say 5 years old or younger, there is a good chance that you won’t need to teach them how to drive. At least not the way you or I learned. It’s entirely possible that our kids will never have to grab a steering wheel or press a gas pedal. Don’t worry, I’ll wait while you go ahead and put your brain back together. But you see, these types of technological advancements aren’t being made in exclusivity. Strides like what I described above aren’t possible simply because the automobile industry is so advanced. The technology that would go into a self-driving car could be repurposed, tweaked just a little bit, and put to use in something like virtual reality. It can, and often does, work the other way around as well. The cannabis industry is no exception, as we’re starting to see. 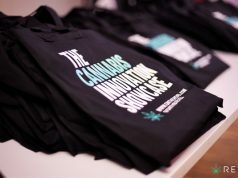 I really enjoy tech — and I’m obsessed with entrepreneurship — so the flood of cannabis startups is an exciting thing to watch. Typing all this out makes me realize two things. One, I haven’t tackled this sort of topic in any of my previous posts. Two, I’m eager to do so for you guys. What? You thought all of that was to lead up to me covering some sort of futuristic weed tech? Nope. I just needed a good segue to what I’ll be talking about in today’s post. Who, actually, not what. His name is Mike Lewis and he’s shaking things up in a simple but powerful way and he’s doing it with just his hands and his voice. Mike Lewis! Who? Mike Lewis! Aside from any readers I have out of Houston, who got the song reference? In all seriousness though, Mike Lewis is a name you’ll come to know quite well if you don’t already. We’ll start with the basics. Mike is a proud husband, father, veteran of the United States Army and Kentucky farmer. 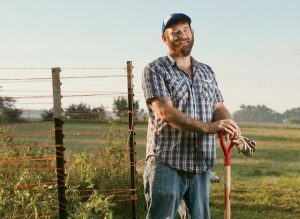 In 2012, he established Growing Warriors, the first veteran-oriented food security organization. There are about one million veterans and active duty military personnel receiving benefits from the Supplemental Nutritional Assistance Program (SNAP), more commonly referred to as food stamps. It’s also no secret that the unemployment rate among veterans is unacceptably high. (To be fair, it is declining at a considerable rate.) Mike’s answer to this issue? Teach them how to grow and preserve their own food while banding together within their communities. This was accomplished by forming partnerships with cities, veteran hospitals, educational institutions, and community based organizations in order to provide veterans with hands on, curriculum-based learning opportunities. Since it’s inception, Growing Warriors has been able to help dozens of veteran families produce tens of thousands of pounds in organic produce. Keep in mind that I’m just giving you a brief introduction. Mike’s, and the Growing Warriors’, efforts extend across multiple states and I could easily fill out the rest of this post by diving deep into everything they’re doing. 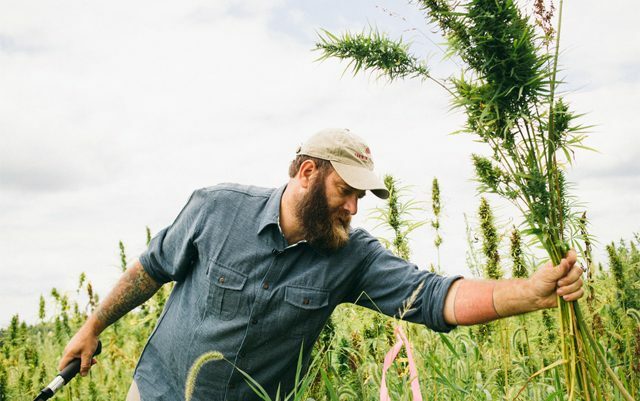 For today, though, I want to bring your attention to what Mike and the Growing Warriors are doing for our industry, specifically the industrial hemp side of things. If you haven’t seen it yet, check out this short documentary film, Harvesting Liberty. Backed and presented by Patagonia, this film aims to address and shed light on the legalization of industrial hemp in the United States. Seriously, stop reading this, open that link in another tab, take the next 12 minutes of your day to watch it, then come back here to finish up and talk to me about what you think. A couple of years ago, President Obama signed the Agriculture Act of 2014 — the Farm Bill — into effect. There’s a section of this act titled Legitimacy of Industrial Hemp Research. 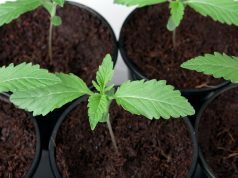 Basically, this section allows for universities and state departments of agriculture — in states where hemp is legal to grow — to grow hemp for research or pilot programs. Back in the 1800’s, Kentucky dominated the industrial hemp market. So, it’s quite fitting that a group of Kentucky farmers, Mike and the Growing Warriors, were given permission to cultivate 5 acres. I found two things to be really interesting while watching that documentary and doing further research afterward. First, the way Mike and his team go about processing the harvested hemp into useable materials. Get this: it’s done entirely by hand. When you think about it, that actually makes sense. Industrial hemp hasn’t been cultivated in America since it was listed as a Schedule I controlled substance, so of course there’s no hemp processing machinery just laying around waiting to be used. Even if there was, Mike wanted to use traditional methods to weave what he had in store. More on that in a moment, though. They begin by using a process known as retting. Put simply, retting is the natural process of allowing moisture and microorganisms to remove the sugars in the stalk that hold all the fibers together. Once the plant has been retted completely, it’s moved to the barn for drying. What follows is called breaking, or decorticating. The hemp stalk is run through a hand powered machine that crushes the stalk and separates each of the fibers. Once separated, the fibers are spun together using spinners that are, once again, hand powered. The second thing that really caught my interest (and by that I mean it had me grinning from ear to ear) is what they decided to make with the materials that came from this first harvest. On the 4th of July, Mike delivered that flag to Congress along with a speech in support of the Industrial Hemp Farming Act of 2015/2016. This act proposes the nationwide legalization of industrial hemp cultivation, something I’ll be digging into in a later article. Mike takes a stance that you don’t see often in this industry and its activists. While he’s obviously in full support of legalization and bringing industrial hemp farming back to America, he also recognizes the need to take it slow. There’s a lot of mistakes left to be made and we need to let those kinks get worked out before attempting to blow up the market. Not only that, but there’s a ton of misinformation out there when it comes to hemp. 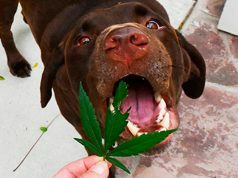 Most of the public still doesn’t understand that hemp isn’t the same as its THC-laden counterpart cannabis. There’s a lot that can be said about Mike Lewis and all the work he’s putting out into the world. If I had to pick one thing, it would be that he’s solid proof that you don’t have to be a high tech startup out of San Francisco, Seattle, Portland, or Denver to effect real change on the cannabis industry. Those types of businesses have their place and I’m rooting for them. I just think it’s important that you don’t forget that there’s a place for you outside of an office space, if that’s where you’d rather be. 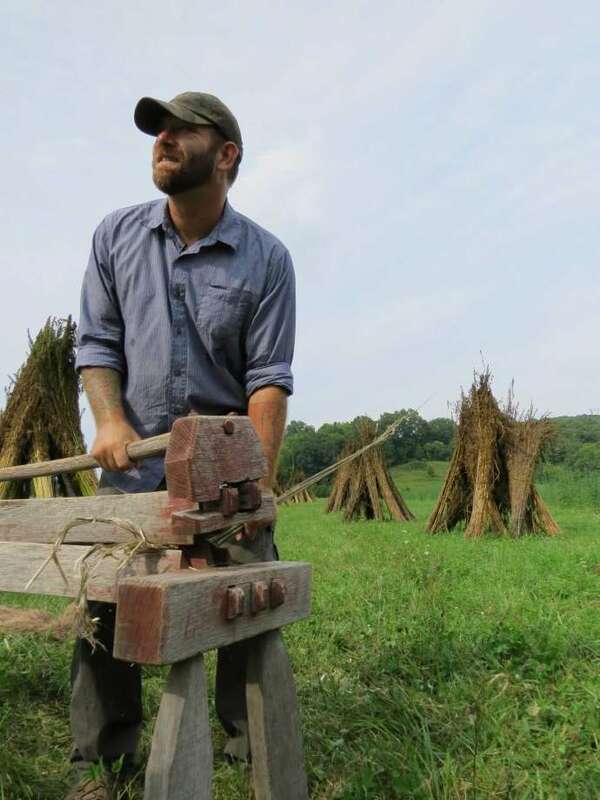 Interested in growing hemp or getting involved? You can learn more over at the National Hemp Association and the Hemp Industries Association. What are your guys thoughts on all this? What’d you think about the documentary? Let me know in the comments!